StreetLeader Program Christmas Giving 2018 - UrbanPromise Trenton | CommitChange | We help organizations raise more money, more sustainably. The StreetLeaders of UrbanPromise Trenton have been reading Charles Dickens’ A Christmas Carol in preparation for an intergenerational discussion of the 19thcentury holiday classic at the Cranbury Public Library. 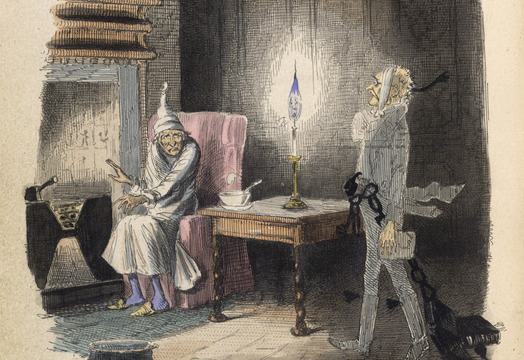 On Christmas Eve, Ebenezer Scrooge is visited by the ghost of his former business partner Jacob Marley. It had been seven years to the day since Scrooge had seen Marley, for Scrooge was the sole mourner at Marley’s funeral. So, when his old business partner came calling from the great beyond, Scrooge’s reaction was uncharacteristic: he listened. Marley quipped, “Mankind was my business. The common welfare was my business; charity, mercy, forbearance, benevolence, were all my business.” This lesson is as timely in 2018 America as it was in 1843 Britain; a lesson the UPT StreetLeaders have been wrestling with since early November. The responsibilities of a UPT StreetLeader include mentoring and tutoring 1st– 8thgraders, maintaining a cumulative GPA of an 80 or above, receiving no less than a B in each class, and participating in extra-curricular activities like Film and Literary Club, quarterly trainings, professional development and the TrentonTrekker Program. For StreetLeaders, their academic day begins at 8AM and ends 10 hours later at 6PM. Additionally, many of the students who attend our after school programs participate in Literary Clubs, where they read fiction literature, analyze texts and consider choices they would make if they were the protagonists in these stories. In an effort to celebrate our StreetLeaders and Literary Clubs this Christmas, UPT is planning Christmas parties to celebrate the students; and we are inviting our friends and family to contribute. Funds raised will be used to purchase gifts, including books, sweaters and sweatshirts, to provide college scholarships for our seniors and undergraduate students, and to underwrite expeditionary and experiential learning field trips in the winter and spring. Please consider contributing to either the Literary Clubs of UPT or the StreetLeader Program. We are working to raise a total of $5,000 and appreciate any gift, no matter the amount.